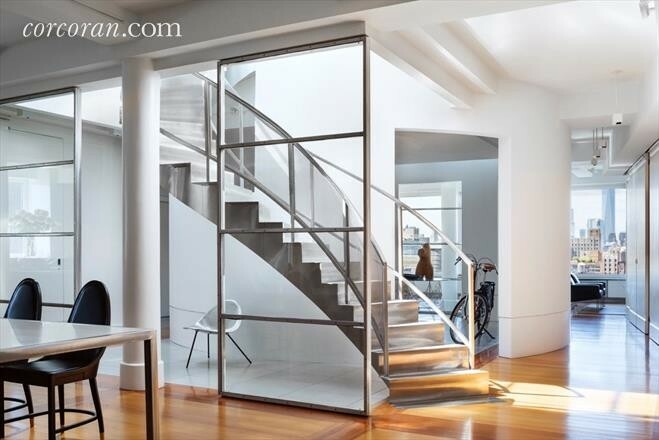 Thanks to an abundance of natural light cast through a wall of windows, there’s not likely to be any tripping down this custom staircase within a three-bedroom, two-and-a-half-bath condo at 21 South End Avenue (yours for $2.75 million). 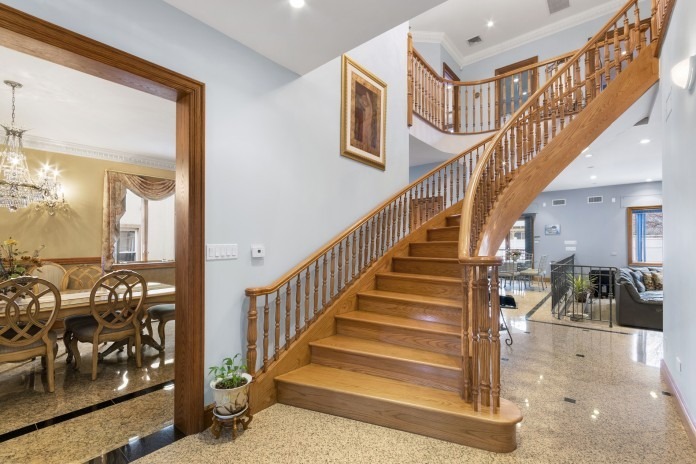 A grand, winding staircase connects the first and second floors of this four-bedroom, five-bath, single-family home at 1051 81st Street in Dyker Heights (on the market for $4.69 million). 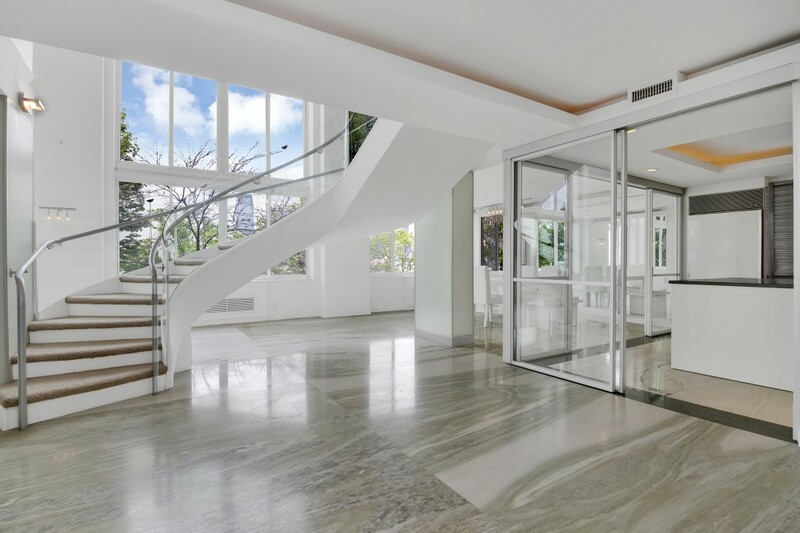 The centerpiece of this circular entry hall—within a four-bedroom, two-and-a-half-bath co-op at 143 West 20th Street (listed at $9.65 million)—is this curving stainless steel staircase that bridges to apartment’s upper level with its glass-enclosed sitting room downstairs. 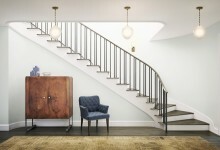 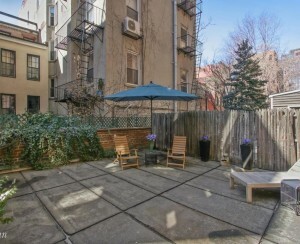 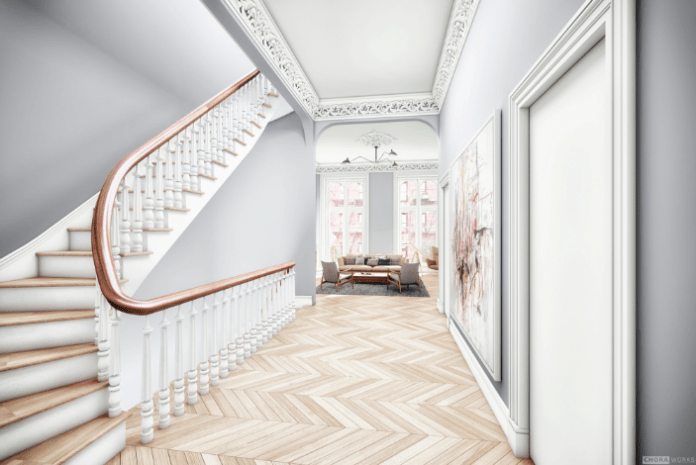 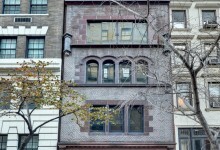 A center-hall floorplan puts the elegant staircase of this five-story, five-bedroom and five-bath townhouse at 54 West 9th Street (going for $10.977 million) front and center the moment you walk through the front door. 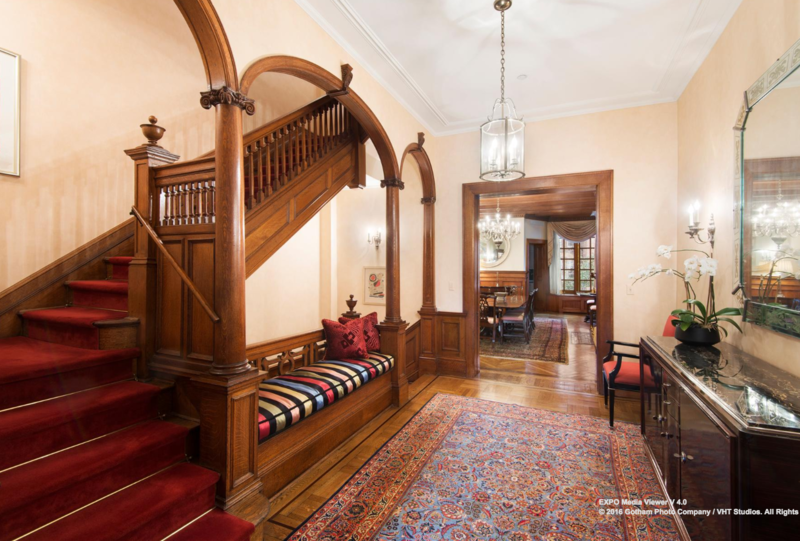 The circular living room of this four-bedroom, multi-level penthouse at 240 Centre Street (priced $35 million) is echoed by the home’s similarly circular floating staircase accented with a dramatic scrollwork handrail. A stunning original staircase anchors the open living spaces of this five-story, 6,565-square-foot Elizabethan Renaissance Revival townhouse at 320 West 80th Street (going for $9.985 million).